After years of preparation, three climbers are ready to take on the ultimate objective, Mount Everest. While the climbers have been busy at home training and planning for their departure, the team on the ground in Nepal and in our office in North America has been busy preparing for their arrival. They have spent months organizing trip logistics, putting together a great crew of support staff and acquiring all of the supplies needed to make Base Camp a comfortable home for our expedition. Now everyone is ready and excited for whatever the great mountain has to offer us this season! Follow Berg Adventures, climbers Daniel Branham, Todd Pendleton and Steve Whittington, and our team of Sherpas as they attempt the world’s highest mountain, Everest, 29,035ft/8,852m. Watch here for updates from the team! The journey will be long and challenging, but the rewards are incalculable and the memories will last forever. Every journey to the top of the world begins with a trek to Everest Base Camp, join Daniel, Steve and Todd on their trek to Everest Base Camp alongside their friends and family. We’re not the only ones sharing our experiences online. Get the stories directly from the climbers: Daniel’s blog, Steve’s blog, and you can help Todd raise money for the Leukemia and Lymphoma Society here. 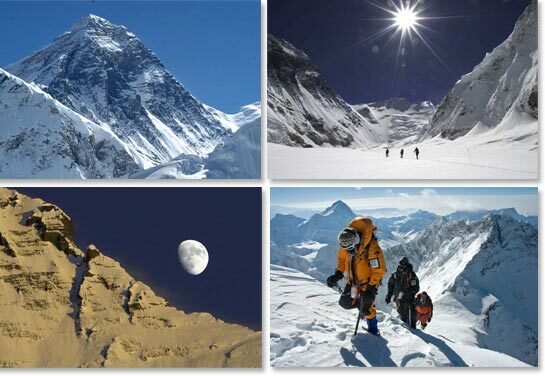 May 19, 2013 – Everest Summit Success! May 17, 2013 – News from the Summit! May 15, 2013 – South Col News!